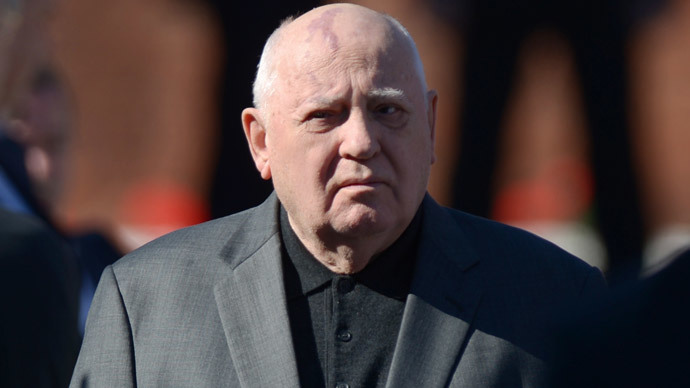 Former Soviet President Mikhail Gorbachev has warned Western and Russian leaders against dragging the world into a new Cold War, adding that the two sides can find a common language through their shared challenges. Speaking to Rossiyskaya Gazeta ahead of the 25th anniversary of the fall of the Berlin Wall, Gorbachev said that he is against any walls between nations. The former Soviet leader believes that Russia has already done so by not responding to the latest round of Western sanctions. “How can there be a dialogue if one you punish the people who take decisions and influence the politics? You have to talk to each other,” the Nobel Peace Prize laureate stressed. According to Gorbachev, one of the reasons behind the current European and global political crisis is the West’s reluctance to take Russia’s position and interests into account. He said the West has a history of praising Russia verbally – especially during Boris Yeltsin’s rule – while not actually taking it seriously. But Gorbachev is convinced that both Russia and Western countries face more shared challenges than divisions. 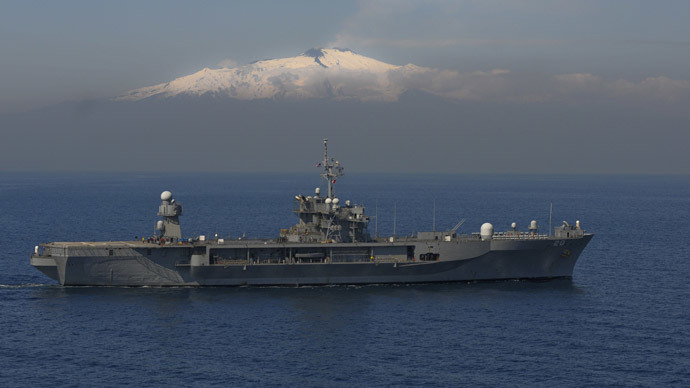 Threats such as the Ebola epidemic and the fight against Islamic State militants, as well as poverty, migrations, and ecological problems, can only help bring the sides closer together. 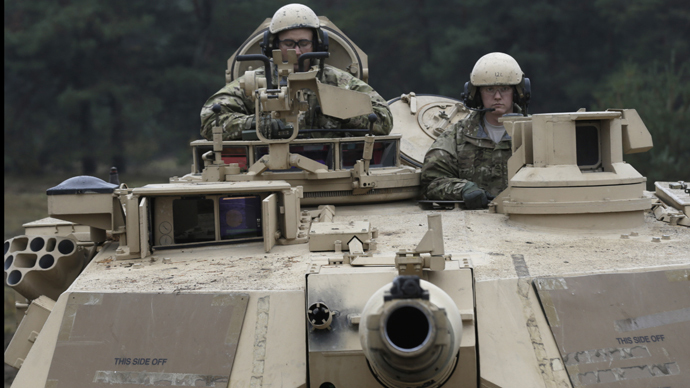 “Shared threats to our security have not disappeared. In the face of shared challenges, we can again find a common language. It won't be easy but there is no other way," he told the paper. 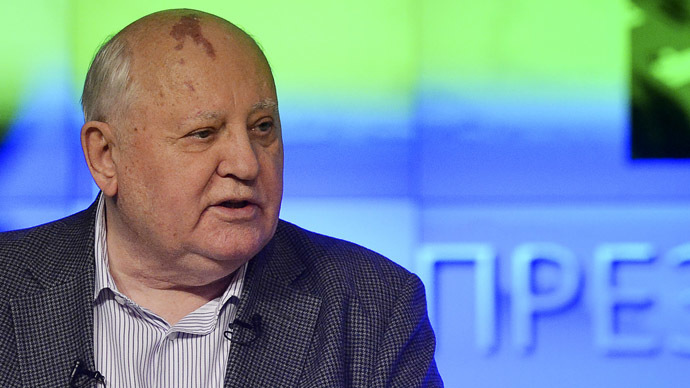 Gorbachev, who is half Ukrainian, said he believes the problems between Ukraine and Russia can be solved. “Our peoples won’t break up completely, I believe. We are too close to each other in all aspects,” he said. But he admits that tremendous damage has been done to the once brotherly relations between the nations. 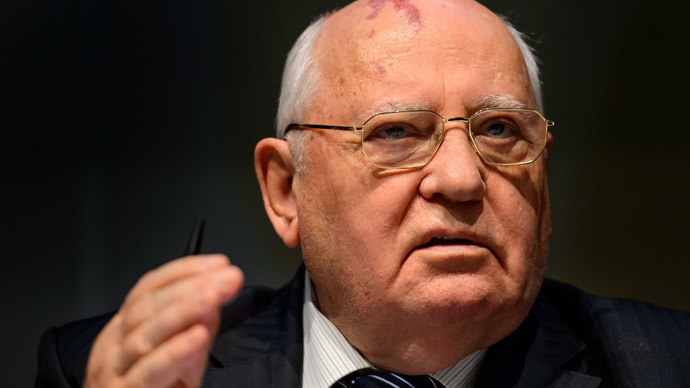 Though Gorbachev is praised around the world as a great democracy advocate, he remains a controversial figure at home. While some respect him for the crucial reforms he brought, others blame him for the break-up of the Soviet Union and the crises and conflicts that ensued.